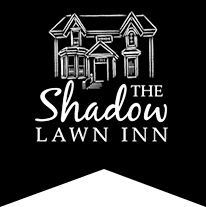 What makes the Shadow Lawn Inn experience so unique? ​The people who work here, of course. When Kathy Smith is not at Benjamin's Books advising customers on wonderful children's books, you can find her at the basketball court, the hockey rink or in the basement of the Inn. Kathy handles all things accounting here at Shadow Lawn Inn. Kathy's background as a business teacher has prepared her well for the challenge of keeping the Inn in good order everyday. She has been working at Shadow Lawn Inn for almost 5 years. Colleen has lived in Quispamsis for 30 years and has 3 sons, 4 sons if you count her husband. Oops, did she say that? She loves going for walks with her sons’ dogs. She says they keep her in shape! Colleen loves listening to music and looks forward to going to her hometown whenever she can to see her family on the Miramichi. She also loves camping in the summer. She enjoys knitting and someday looks forward to traveling around Canada. They might even try down South, maybe! Something most people don't know about Colleen? She won a poster contest in Grade 5 for depicting the future as an image of the world with a larger computer on it! Our resident visionary! Charlie is a dedicated, reliable employee. He has been with the Inn for over 14 years. No matter the situation, Charlie can solve it with his calm, methodical approach. His attention to detail is appreciated as evidenced by our well-kept gardens in the summertime. Charlie is married to Eleanor and is a proud father to Stephanie who is in her second year at Saint Mary’s University.